Our policies may change from time to time. It is assumed and agreed upon that with your use of our services, and web site, you agree to abide by the terms and acceptable use policies. 24 hours a day, 7 days a week, 52 weeks a year, and so far, going on our 13th year. Other ISP's can make support a difficult process. Ours is simple. Call 866.438.8999 anytime. Or fill out this Form below for fast track email ticketing. On the road? Use your PDA/Phone. 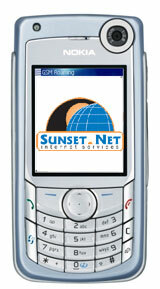 Browse to http://sunsetnet.mobi. Get Road Directions, Flight Times, FEDX Tracking, gMail, News, Search the Web and more. Send a Ticket to the Support Team. 24 hour Support.